Frequently Asked Questions put to Parliament's Spokesperson’s Department > Current page:: How many people work in the Parliament? The majority of Parliament's staff (55%) are women. Almost nine per cent of Parliament's staff work for the political groups (671 posts). 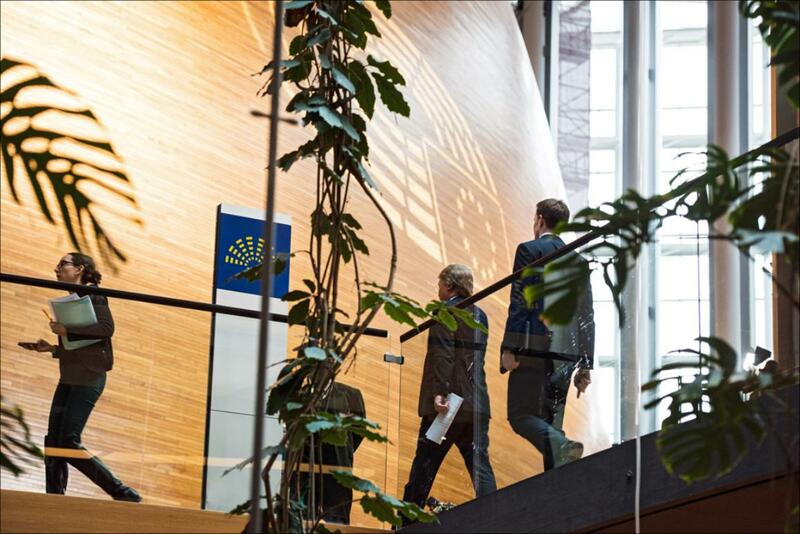 Parliament's staff come from all European Union member states and even a number of other countries. Belgium accounts for the largest share, followed by France, Italy, Spain and Germany. Some work has been outsourced such as parts of Parliament's building management, IT, cleaning and canteen services. On any given day there may be over 10,000 people on Parliament’s premises, when staff numbers are swelled by journalists, visitors and lobbyists.